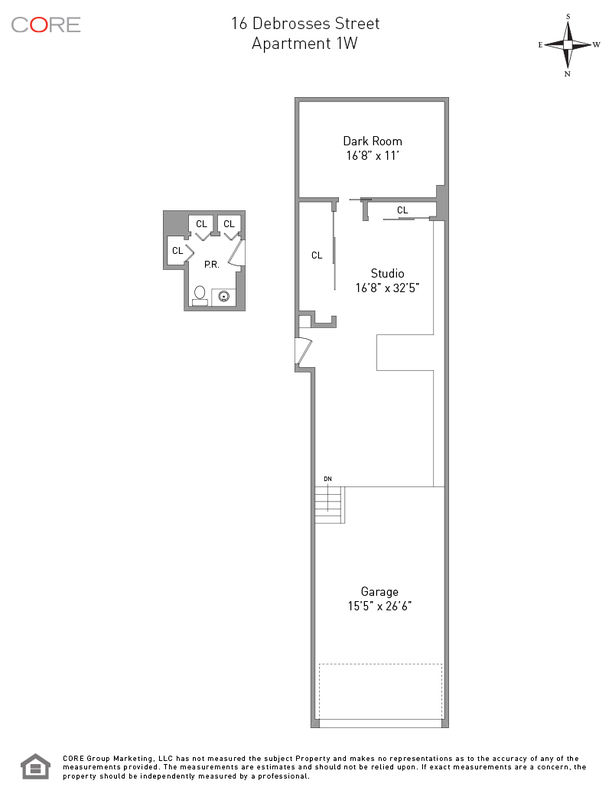 Located in a boutique condominium on a cobblestone street in West Tribeca, 16 Desbrosses, 1W is an unusual and one-of-a-kind, 1,294-square-foot studio and garage with lobby access from Desbrosses and curb cut garage access from Watts Street. 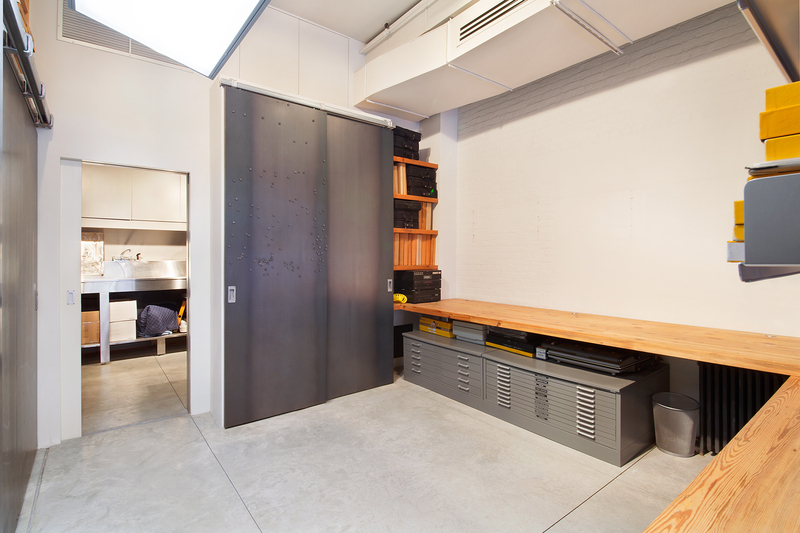 A converted loading dock in an original textile warehouse, the space is currently used as a light-filled photography studio, garage and bathroom. With a secondary address of 121 Watts Street, this studio has a grandfathered curb cut. Designed by Architecture Research Office, this flexible and dramatic studio space features poured concrete floors, 16-foot ceilings and beautiful finishes. Accessible from both Desbrosses Street and Watts Street, this space features a private, automated, 13-foot glass garage door which faces north onto Watts Street. With clear glass construction on upper panes and sandblasted glass on lower panes for privacy, the garage door provides a wall of light for the interior space.